Seguros de que o almoço será também uma renovada oportunidade para ampliar a sua rede de contatos profissionais, promover o seu negócio e trocar impressões, relembramos que para este almoço pode convidar amigos ou clientes da sua empresa. 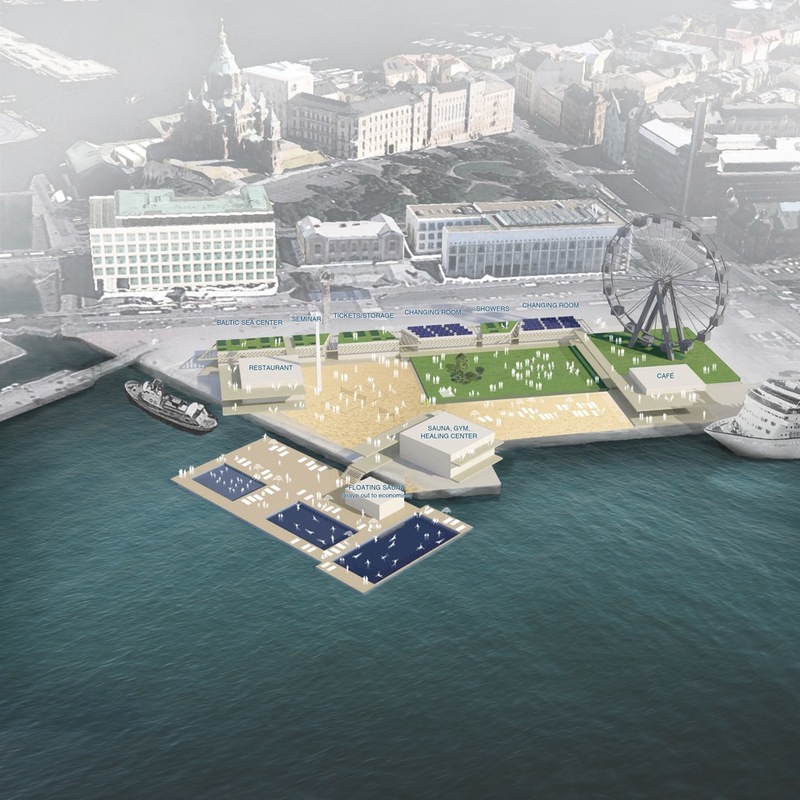 The iconic harbor area of the Helsinki city center will get a facelift with the construction of an exciting urban sea pool and public swimming complex, The Allas – Helsinki Pool. The project, carried out by Korjaamo Group, will not only provide a veritable bathing oasis and urban culture venue for the citizens and tourists in Helsinki but also a masterclass in Finnish cleantech expertise. Allas – Helsinki Pool will be built in the harbor in the district of Katajanokka and is planned to open in May 2014. The 7000-8000 m2 area will be open for visitors throughout the year and feature 3-4 outdoor pools, a sea view sauna, Baltic Sea center, café, restaurant, wellness center, grass area for urban outdoor activities and rooftop garden. The whole complex will be built from wood, steel and concrete materials and will utilize the best Finnish cleantech solutions in energy efficiency, water and waste related issues, lighting, sustainable materials, and other eco-conscious lifestyle solutions. The pools will be constructed on a floating pier while the rest of the complex is set up on the shore. “The aim is to make this a cleantech and sea pool bathing complex showcase that can be established also in other Baltic Sea locations. This is a great challenge but an even greater possibility in the number one property in Finland,” says Raoul Grünstein, Executive Director of Korjaamo Group. Cleantech Finland and its spin-off SOLVED – The Cleantech Company co-create with Korjaamo Group and the key project team members to deliver hands-on advisory and a roadmap for feasible cleantech solutions that are provided by partnering Finnish cleantech companies. “Very quickly our team of top cleantech experts are able to find the right solutions to the specific, complex challenges in the Allas – Helsinki Pool project,” Santtu Hulkkonen, Cleantech Finland’s Executive Director, says. According to the nature of the whole community-driven enterprise, Korjaamo Group, Cleantech Finland and SOLVED – The Cleantech Company are open to hear any solution ideas to be employed in the project. Ideas can be posted on Korjaamo Group’s Facebook page until the end of August. Along with Korjaamo Group, Cleantech Finland and SOLVED – The Cleantech Company, the core Allas project team includes the consulting and engineering company Pöyry, marinas and advanced floating solutions provider Marinetek, Aleksi Lumijärvi (GreenStream Network), Juha Vanhanen (Gaia Consulting), Mikko Kantero(Greensound), Risto Huttunen (Huttunen Lipasti Pakkanen Architects), and Florian Köhl (FAT Koeh Architekten). Decorrerá em Moscovo, de 28 a 30 de Novembro, no Centro de Exposições “Crocus Expo”, a 3ª edição da Feira Internacional Integrada de Construção Naval, Aproveitamento e Exploração dos Recursos Hídricos “The Ocean”, posicionando-se como evento único destinado a apresentar num local todas as facetas da actividade marítima, a conjugar interesses da ciência e da indústria e a divulgar junto da comunidade económica internacional as últimas inovações realizadas nos mais variados domínios da exploração, aproveitamento e protecção dos oceanos e do desenvolvimento da zona costeira. A Organização para a Cooperação e Desenvolvimento Económico (OCDE) mantém a perspetiva de recuperação da economia portuguesa, de acordo com os indicadores compósitos avançados divulgados hoje. Os indicadores avançados da OCDE referentes a junho, que apontam para a tendência de melhoria ou abrandamento da atividade económica num período entre seis e nove meses, mostram uma subida nas perspetivas da melhoria da atividade económica portuguesa, nos 101,05 pontos. Esta tendência de subida mantém-se há mais de um ano. No mês passado, os indicadores compósitos relativos a Portugal ascendiam a 101,3 pontos, superior à média de longo prazo de 100 pontos. Os números da OCDE dão ainda conta de melhoria das perspetivas económicas relativas à Grécia, Espanha e Itália, enquanto na Irlanda estas recuaram face a maio. Os indicadores avançados também perspetivam uma melhoria para os países que compõem a Zona Euro. Global trends including population growth, urbanisation and climate change are increasingly putting scarce water resources under pressure, and better water services are urgently needed around the world. An expanding network of firms and organisations within the Finnish water sector aims to help meet this demand. The Finnish Water Forum brings together public and private sector players working with all kinds of water-related issues and technologies, with an emphasis on sustainability and environmental protection. Members of the forum include research institutes, government agencies and many small and medium-sized firms, as well as major corporate names like Kemira, Pöyry and Fortum. “So far we’ve largely been mapping out the strengths of our members to identify areas where we can contribute the most value,” says the Finnish Water Forum’s managing director Katri Mehtonen. As a country with a long history of both utilising and protecting its own famously numerous lakes and rivers, Finland has built up plenty of experience in fields including water purification, wastewater treatment, integrated water resources management and administrative practices governing the use of water. Finnish expertise on the monitoring, measuring and modelling of flows and water quality in river systems and groundwater reserves is also highly respected. Another goal of the forum is to help Finnish universities, research institutes and nongovernmental organisations build productive partnerships in far-flung regions, with an emphasis on joint learning. “Through the forum’s workshops we’ve also been identifying the geographical regions where we can contribute most,” adds Mehtonen. Photo: Marko Keskinen Close to the land and close to the water: This Cambodian farmer’s rice paddy is fed by water from Tonle Sap. One region where Finnish experts have already been working is the Mekong River Basin in Southeast Asia. Finnish experts have widely contributed to the work of the international Mekong River Commission promoting sustainable water management through the region. Water and development specialists from Aalto University and their local partners have been building a better understanding of the unique flood pulse system of Cambodia’s Tonle Sap Lake, which is crucial for local livelihoods and food security. Important considerations include the possible impacts on the lake of climate change and hydropower developments. Shared by many countries, the Nile Basin is another region where water use needs to be harmonised through international cooperation, since the livelihoods of millions of people depend on the river. Finnish experts have particularly supported the efforts of the Eastern Nile Technical Regional Office (ENTRO) to enhance watershed management in Ethiopia, Sudan and Egypt. The Finnish water sector is also supporting water management schemes in Eastern Europe, the South Caucasus and Central Asia through the wide-ranging FinWater WEI programme, whose themes include water and health, dam safety, and water monitoring and assessment. The Finnish Water Forum does not set up projects itself, but aims to facilitate the fruitful formation of consortiums and public private partnerships, and to serve as a point of access for potential clients from around the world. Photo: Marko Keskinen A fisher employs the traditional nets along the Mekong River in Laos, where Finnish experts have contributed to promoting sustainable water management. “Finland’s Ministry for Foreign Affairs [full disclosure: thisisFINLAND is produced by the Ministry] finances development cooperation projects related to water resources and water services in various regions, and our members can form consortiums and compete with international bidders for involvement in such schemes,” explains Mehtonen. The Finnish Water Forum also operates under the wider Cleantech Finland brand, which has been set up to promote Finnish expertise in all kinds of environmental technologies. O recente estudo efetuado para a CIP confirma a baixa produtividade das empresas de vários sectores da economia portuguesa, sobretudo no que diz respeito à sua capacidade de comercialização. 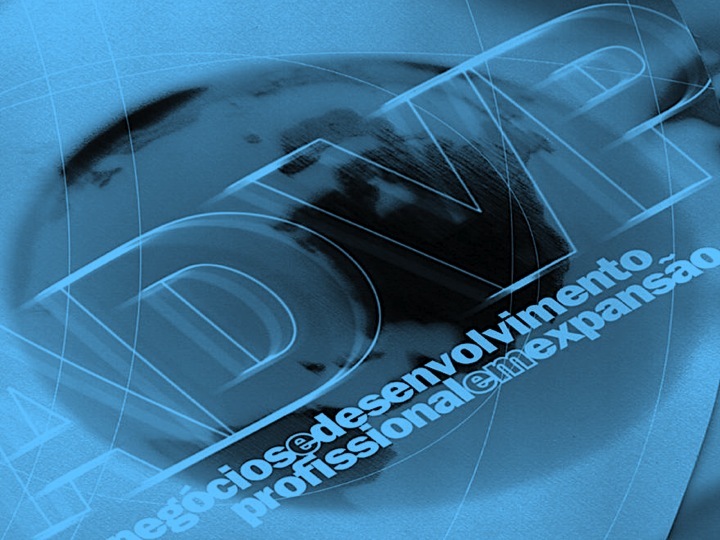 Foi identificado, no âmbito do Programa Produtividade Portugal, o imperativo da focalização da empresa em aumentar a Mais Valia por via das suas receitas, através da eficácia e agressividade comerciais, cada vez mais num âmbito de competitividade internacional. As empresas de sucesso são as que o conseguiram. Na busca de soluções práticas para este desafio, a AEP firmou um acordo com a ADVP (Associação dos Dirigentes de Vendas e Marketing de Portugal) associada da Federação Brasileira da mesma designação, entidade de utilidade pública que, desde há 60 anos, tem conduzido programas de formação e capacitação de equipas comerciais sendo a maior formadora nesta área de especialização na língua portuguesa. No âmbito deste acordo foi desenhado o programa “1+1=3”, um programa de seminários e cursos, conduzidos por formadores seniores e altamente qualificados, sendo todos gestores e consultores de empresa no âmbito internacional. Os cursos serão interativos e participativos, com recurso a checklists de gestão. Para mais informação enviar e-mail para formacao@aeportugal.com. Finnish invention will help detect cases of hereditary cancer predisposition before the person affected gets ill. Researchers at Helsinki University have developed a method which will help prevent an increasing number of colon cancers. The invention is well on its way to the market, boosted by a grant of 150.000€ for the production of the invention awarded to the researchers by the European Research Council. Lynch syndrome, a hereditary predisposition to bowel cancer, is responsible for 5–15 per cent of all colon cancers. The researchers’ objective is to introduce to the market a test that allows for more comprehensive detection of the predisposition. Two thirds of Lynch syndrome families have been detected with previous tests. The Finnish invention draws on the underlying condition that predisposes a person to cancer, but in a new way, thanks to which basically all Lynch syndrome families can be detected. The test detects hereditary cancer predisposition before the onset of the disease. The patenting process of the invention leading to a DiagMMR essay, developed by the research laboratory of Professor Minna Nyström, was launched a couple of years ago. Now the researchers are looking for a partner to bring the product to the market. According to Helsinki University, the prevalence of Lynch syndrome is 1:1 000—2 000. Up to 80 per cent of the carriers of Lynch syndrome develop colon cancer. — Considering how common the syndrome is – the number of carriers in Europe alone is estimated at over three million – and how high the risk of falling ill is for the carriers, it may be feasible both ethically and economically to screen the carriers in appropriate target groups. A global market exists for the test, says Professor Päivi Peltomäki, Principal Investigator, funded by the European Research Council. Colon cancer is the most common cancer caused by Lynch syndrome, followed by uterine cancer. The syndrome also causes other less common cancers, such as stomach cancers, ovarian cancers, kidney cancers and urinary tract cancers. The invention is significant for colon cancer in particular: it offers the best opportunities for prevention through early detection of benign precancerous stages.